Comics Experience Blog: Pro Artist Sean Chen Offers Critiques on Creators Workshop! Pro Artist Sean Chen Offers Critiques on Creators Workshop! We're pleased to announce that comic book artist Sean Chen has joined the Creators Workshop, providing art critiques to members. Sean will be checking in on a regular basis, and has already provided detailed, helpful critiques to two members he selected. Sean is a graduate of Carnegie Mellon University where he received a bachelor's degree in industrial design. He was discovered by Barry Windsor-Smith, and began his career at Valiant Comics, penciling their flagship title, X-O Manowar and others. After Valiant, Sean worked with Marvel Comics where he penciled Iron Man for over three years and Wolverine for nearly as long. Sean wrapped up the 18-issue saga X-Men: The End before moving to DC Comics, home to such icons as Superman, Batman, and Wonder Woman. More recently, he returned to Marvel, penciling popular projects such as Dark Reign: Fantastic Four and Avengers Academy. 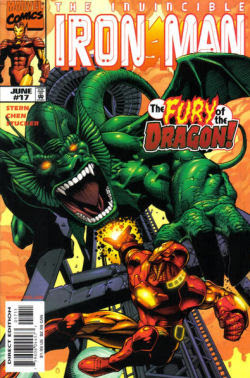 Chen's penciling propelled Wolverine to the top of the sales charts and earned him a seat on Wizard's Top Ten Artists list. The Creators Workshop is an on-going community of writers, artists, colorists, and letterers all dedicated to getting published and improving their craft. It's a community focused on making comics! Our members post their work, critique each other, and discuss all aspects of creating comics in our members-only forums. But in addition to all that, members are eligible each month for critique by our instructors and special guests! Sean Chen has now joined our regular line-up that includes working comic book editors, writers, artists, colorists and more. Welcome to the Workshop, Sean! 10,000 Posts on the Creators Workshop Forums! Comics Experience at Coast City Comicon 2011! Comic Book Editing Class SOLD OUT!